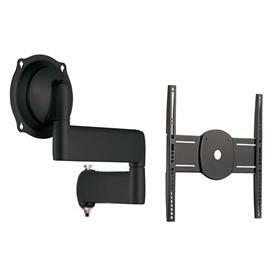 Mount your flat screen TV or monitor to a recessed wall mount for the flexibility of a full motion flat screen wall mount without the bulk. 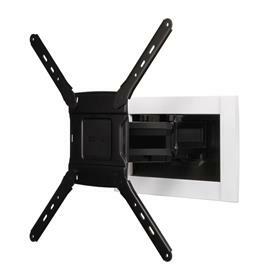 In-wall TV mounts attach your flat screen TV or monitor into a recessed enclosure that usually sits between two wall studs. Some recessed mounts come with an enclosure, and others do not. 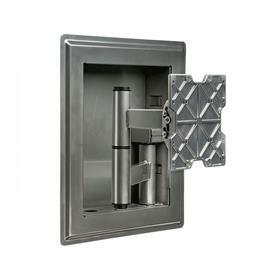 If you choose a mount and need to choose an enclosure, see our Gearboxes and Enclosures category. 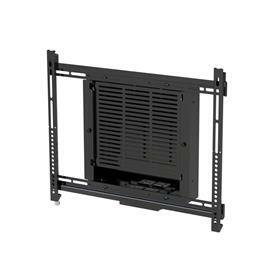 The advantage of using a in-wall recessed mount with an enclosure is an extremely low profile, virtually flush display in which the mount of the TV is not in view. 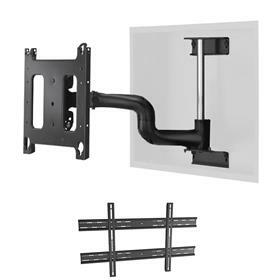 See additional information on the Peerless In-Wall Articulating Wall Mount for 32-71 inch Screens (Black or Silver) IM760P below. Certified mounting experts are here to help. Call 1-800-807-1477. 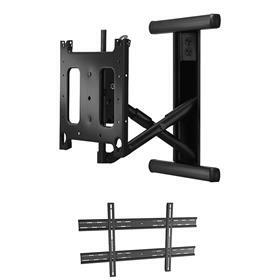 More on the Chief JWDIWUB Universal In-Wall Swing Arm Mount for Mid Size Monitors below. Certified mounting experts are here to help. Call 1-800-807-1477. More on the OmniMount OE120IW Elite Series Large Recessed In-Wall Mount below. Certified mounting experts are here to help. Call 1-800-807-1477. 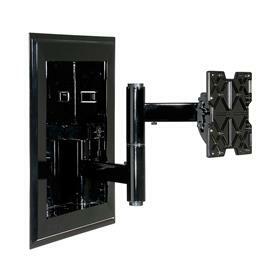 More information on the Premier Mounts INW-UNIFM Recessed Wall Box and Fixed Mount made by Premier Mounts is below. See additional information on the Peerless IM760P Black Dedicated In-Wall Mount for Mid to XL Screens below. Certified mounting experts are here to help. Call 1-800-807-1477. See additional information on the Peerless IM760P-S Silver Dedicated In-Wall Mount for Mid to XL Screens below. Certified mounting experts are here to help. Call 1-800-807-1477. 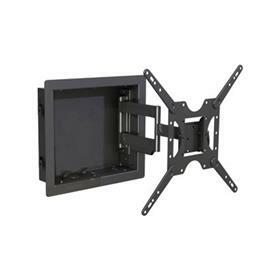 More information on the Crimson A63I VersaFit In-Wall Articulating Mount for Large Monitors made by Crimson AV is below. 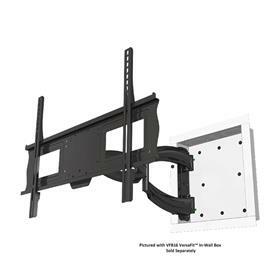 See additional information on the Chief PWR2000B Dedicated Large Swing Arm In-Wall TV Monitor Mount (22" Ext) below. Certified mounting experts are here to help. Call 1-800-807-1477. 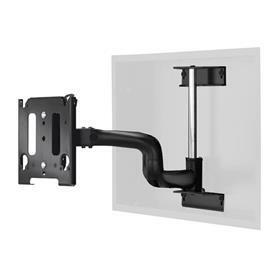 See additional information on the Peerless IM760PU Black Universal In-Wall Mount for Mid to XL Screens below. Certified mounting experts are here to help. Call 1-800-807-1477. 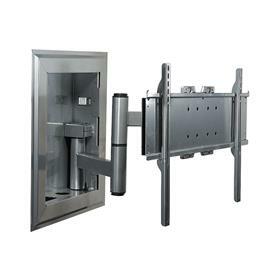 See additional information on the Peerless IM760PU-S Silver Universal In-Wall Mount for Mid to XL Screens below. Certified mounting experts are here to help. Call 1-800-807-1477. More on the Chief MWRIW6000B Dedicated Medium Swing Arm In-TV Wall Mount (22 in. Ext) below. Certified mounting experts are here to help. Call 1-800-807-1477. 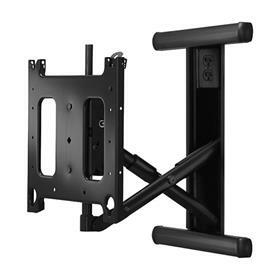 More on the Chief MWRIWUB Universal Medium Swing Arm In-TV Wall Mount (22 in. Ext) below. Certified mounting experts are here to help. Call 1-800-807-1477. 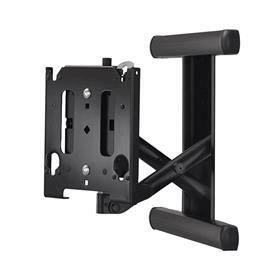 See additional information on the Chief MIWRF6000B Medium Dedicated Swing Arm In-Wall Mount below. Certified mounting experts are here to help. Call 1-800-807-1477. 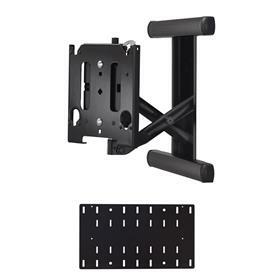 See additional information on the Chief PWRIWUB Universal Large Swing Arm In-Wall TV Monitor Mount (22" Ext) below. Certified mounting experts are here to help. Call 1-800-807-1477. 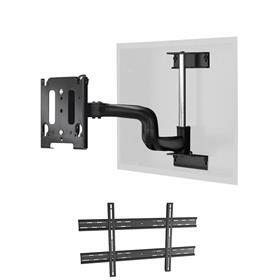 See additional information on the Chief PNRIW2000B Dedicated Large Swing Arm In-Wall Mount (22" Ext) below. Certified mounting experts are here to help. Call 1-800-807-1477. 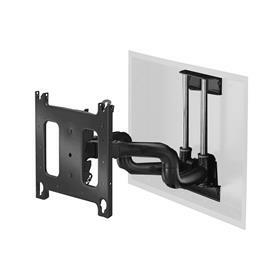 See additional information on the Chief MIWRFVB Medium VESA Swing Arm In-Wall Mount below. Certified mounting experts are here to help. Call 1-800-807-1477. 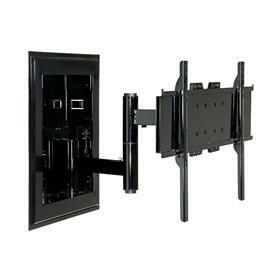 See additional information on the Chief PIWRF2000B Large Dedicated Swing Arm In-Wall Mount below. Certified mounting experts are here to help. Call 1-800-807-1477. 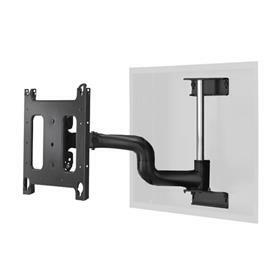 See additional information on the Chief MIWRFUB Medium Universal Swing Arm In-Wall Mount below. Certified mounting experts are here to help. Call 1-800-807-1477. See additional information on the Chief PNRIWUB Universal Large Swing Arm In-Wall Mount (22" Ext) below. Certified mounting experts are here to help. Call 1-800-807-1477. 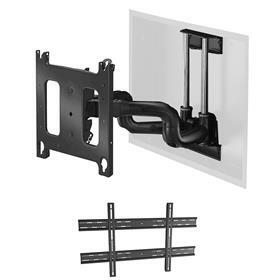 See additional information on the Chief PIWRFUB Large Universal Swing Arm In-Wall Mount below. Certified mounting experts are here to help. Call 1-800-807-1477.